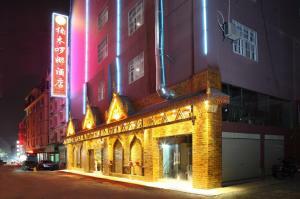 Only a 10-minute walk from Big Buddhist Temple, Peacock Princess Hotel features unique decoration in all areas. It offers a fitness centre, massage service, a business centre, a tour desk, a shared kitchen and a barber shop. Free Wi-Fi is available in all areas. 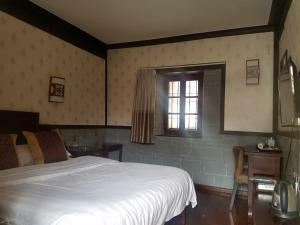 Peacock Princess Hotel is a 10-minute drive from Xishuangbanna Gasa Airport. Free airport shuttle service is provided upon request. All units with city views offer a minibar, a dining area, an electric kettle and a work desk. 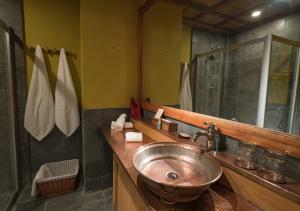 The en suite bathrooms have shower facilities and free toiletries. Guests may work out at the fitness centre, laze in soothing massage, or play a game of table tennis or billiards. Car hire, ticketing services and meeting facilities are provided upon request. The on-site restaurant serves authentic local Dai dishes. There is also a shared kitchen where guests can cook. 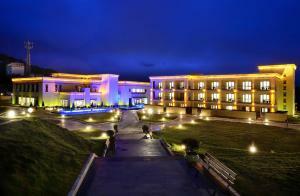 Situated close to Mainri Snow Mountains, Kawagebo Hotel is located inside Feilai Temple Scenic Area. It offers guestrooms with beautiful natural views and free Wi-Fi, a tour desk for tourists and meeting facilities for business travellers. Free private parking is available at the property. 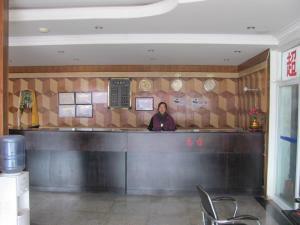 Kawagebo Hotel is 20 km from Mingyong Glacier and 30 km from Cizhong Church. Diqing Coach Station is about a 20-minute drive away. Offering beautiful mountain views, all units come with a flat-screen cable TV, an electric kettle, a work desk and a seating area with a sofa. The en suite bathroom has a hairdryer, free toiletries and a shower. Guests can make travel arrangements and book tickets at the tour desk. Luggage storage, daily maid service as well as fax and photocopying facilities can be requested at the 24-hour front desk. After a long journey, enjoying the beautiful views on the lovely terrace seems nice. 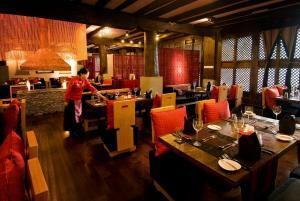 The on-site Kawagebo Restaurant serves a mix of Chinese cuisine and Western-style food for guests to enjoy. 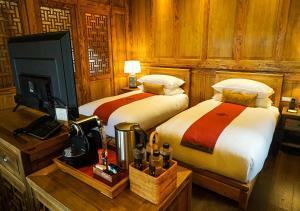 Regalia Resort Spa Deqin is located in Feilai Temple Village, directly opposite Meili Snow Mountain. 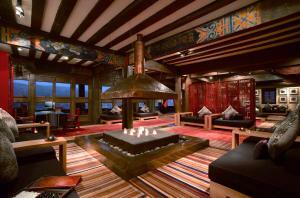 Offering spectacular mountain views, it features a hot tub and massage services. 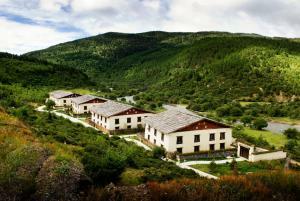 The staff also helps guests organise hiking trips. 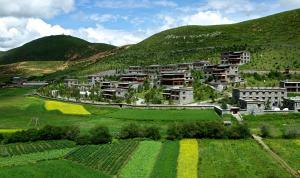 Surrounded by nature’s beauty, Regalia Resort Spa is 2 km from Meili Snow Mountain and 5 km from Baimang Mountain. 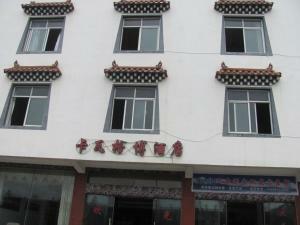 Deqin Bus Station is a 20-minute drive away. Beautifully decorated in shooting colours, the spacious and luxurious rooms are fitted with a safety deposit box and free internet access. 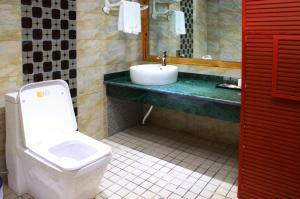 En suite bathrooms have free toiletries, shower facilities and slippers. For leisure, guests can rent a car to explore the area, or organise sightseeing trips at the tour desk. Airport shuttle service is available at an extra charge. A business centre and meeting facilities are provided for guests’ convenience. Lotus restaurant serves delicious Western food. 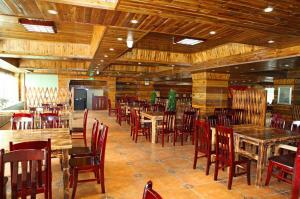 For a fulfilling Yunnan local meal, visit Ru Yi Xuan restaurant on site. 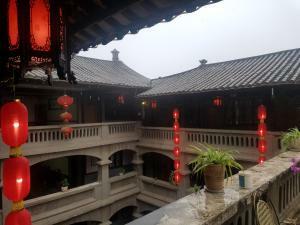 Located in Honghe, Honghe Mabang Inn has a garden, terrace and shared lounge. The property provides a 24-hour front desk. At the guest house, rooms are equipped with a desk. 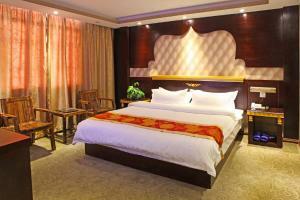 Guest rooms feature a flat-screen TV with cable channels. 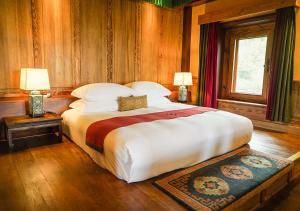 Songtsam Retreat At Shangri-la is a charming Tibetan-style hotel situated a 5-minute drive from Songzanlin Monastery Temple. 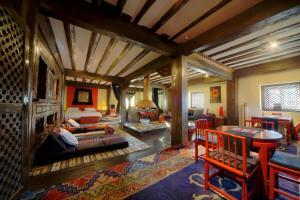 It features Linka Spa by L’Occitane and free wireless internet access. 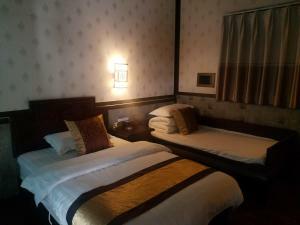 Songtsam Retreat is located a 25-minute drive from Diqing Airport. 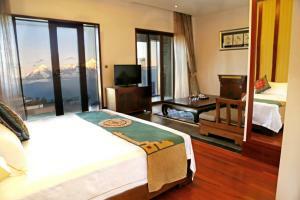 Stylish rooms are fitted with a DVD player and TV with cable channels. 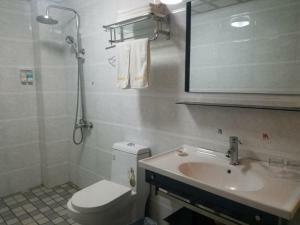 A safety deposit box and bathroom toiletries are provided. 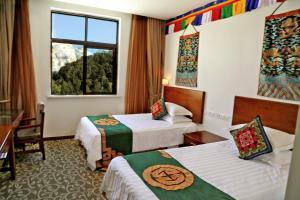 Guests can enjoy visits to a local Tibetan home for dinner, Tibetan yoga classes or hiking in the local area. A variety of local cuisine can be enjoyed at the Tibetan Restaurant all day. 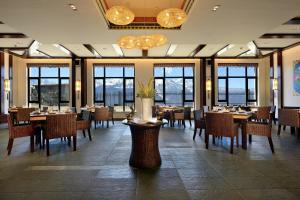 International cuisine can also be enjoyed at the hotels Western Restaurant for dinner. A Library Lounge Bar is also available to sip on evening cocktails in the outdoor terrace or simply to enjoy a good book by the fireplace.